Chestnut Hill farms is conveniently located just over the hill from the Tortuguero National Forest, or the “Costa Rican Amazon”. Set right off Costa Rica’s northern Caribbean coast, this national forest is comprised of dense jungle and winding canals that are reminiscent of the Amazon, hence the name. This network of canals, rivers, lagoons, beaches and dense rainforest is ideal for locals and visitors to explore by way of boat, kayak or canoe. 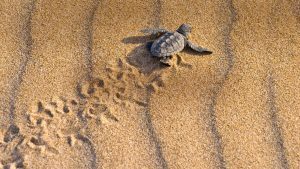 A haven for endangered species and biodiversity, the Tortuguero National Park is among the most important turtle nesting areas in the western hemisphere. The word “Tortuguero” fittingly means “Region of Turtles” in English, as the area provides a key nesting area for the endangered green turtle, as well as leatherbacks, hawkbills, and loggerhead turtles. 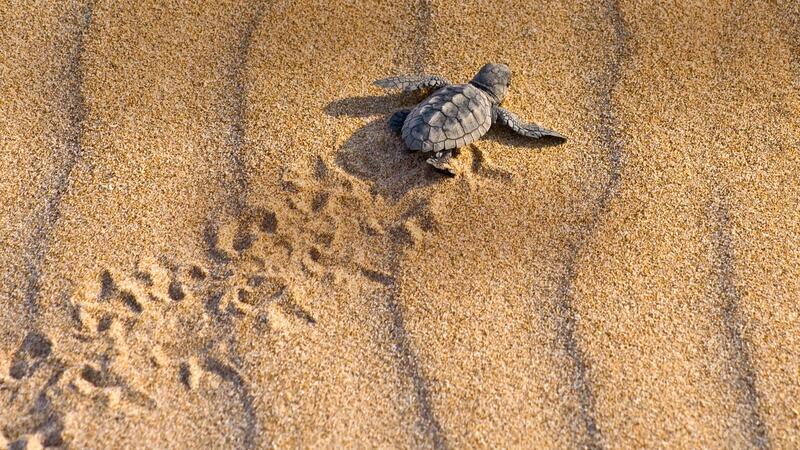 However, this area is a valuable wildlife sanctuary for creates other than sea turtles. This area is also a home to monkeys, jaguars, green macaws, reptiles, amphibians and more. In fact, over 70 species of reptiles and amphibians, over 60 species of mammals, and over 300 species of birds call Tortuguero home. Beyond the protection of our world’s creatures, the species of turtles that call Tortuguero home play an important role in the overall health of the environment. For example, the green turtle is one of the largest and only herbivores of the species. This species which is currently threatened by the harvesting of their eggs, the hunting of adults in the spices, fishing gear and habitat loss, graze on seagrass and algae. This diet maintains seagrass beds and makes these aquatic plants more productive. One of the main threats to this valuable endangered species is habitat loss, resulting from coastal development, vehicles driving on the beach, and other human factors. This is part of the reason why Chestnut Hill Farms works to protect over 275 hectares of forest reserve each year. The area in which our farms are located are warm, humid and rainy throughout the majority of the year. Although the majority of this area consists of rain forests, there are eleven different and varied ecological habitats in the area, including coastal shrubs, swamps and evergreen forests. This environment creates ideal conditions for growing our perfect pineapples, which are MD2 pineapples. MD2 pineapples are a hybrid fruit, with a sweeter taste and less acidity than other pineapples. This type of pineapple was developed to fulfill market demand for fresh pineapple with sweetness, uniformity and consistency in size and ripeness. Beginning in the 1980’s, the MD2 pineapple is bright in gold color, contains quadruple the amount of vitamin C as other species, and has a longer shelf life. Here on the farm, we make socially conscious and eco-friendly farming practices to work to support our workers and protect our environment. Our perfect pineapples leave an estimated 300 tons of material per hectare in the areas where it is grown, which is re-incorporated back into the soil. This makes our farms’ soil more nutrient-rich. Want to Learn More About or Eco-Friendly Farming Practices? Sign up for our News Letter! This entry was posted in Featured, Latest News, This Week at the Farm and tagged chestnut hill farms, costa rica, farming, health, rain forests, sea turtles, sustainable, Tortuguero. Bookmark the permalink.